The Apple iPad mini rumors have been around for ages, but the slate finally went official. Apple has just introduced the latest iOS slate – the 7.9-inch iPad mini. The late Steve Jobs famously slammed 7-inch slates for having no real-life application, but it seems Apple has changed its stance on the matter as the iPad mini is now a reality. It packs a 7.9-inch LED-backlit IPS screen with a resolution of 1024x768 pixels – the same as the first and second 9.7" iPads. This time around the pixel density goes higher at 163ppi thanks to the smaller display. 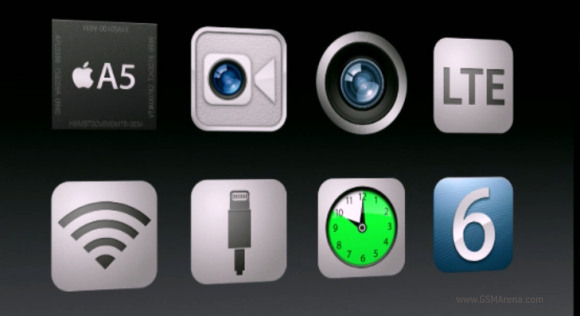 The iPad mini is powered by the older generation Apple A5 chipset we already met within the iPad 2. In case you need a refresh it has a 1GHz dual-core ARM Cortex-A9 processor, PowerVR SGX543MP2 graphics and 512MB RAM. The new Lightning port introduced with the iPhone 5 is here too. 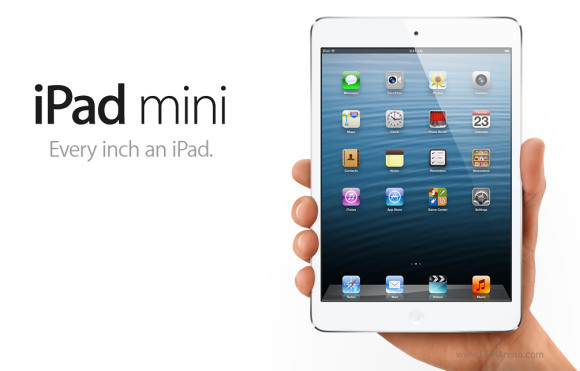 The iPad mini also features a 5MP (iSight) rear camera capable of 1080p video recording. A 720p front-facing FaceTime camera is onboard as well. 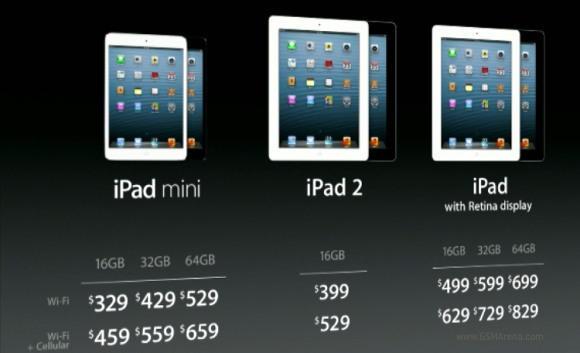 The iPad mini will be available in black and white and will come with 16, 32 or 64GB non-expandable memory. 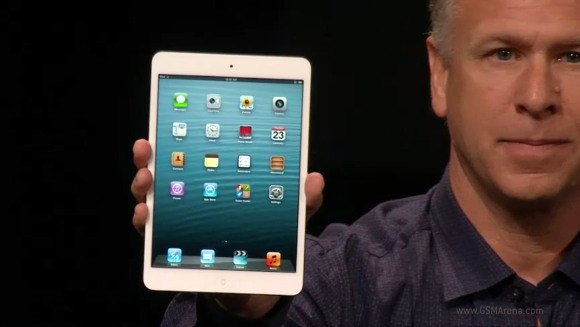 The Apple iPad mini will go on pre-order next week with market availability scheduled to start on November 2. The base model costs $329, with the 32GB and 64GB version going for $429 and $529, respectively. The Wi-Fi+Cellular model pricing starts at $459 for the 16GB.